I am a Principal Research Fellow based in the Cellular and Molecular Neuro-oncology laboratories. I obtained my BSc in Psychology, California State University, Chico CA USA and my PhD in Anatomy and Neurobiology with a special emphasis in Neuroscience at the University of Tennessee Health Science Centre, Memphis, USA. I was then awarded a fellowship at St Jude’s Children’s Research Hospital in tumour cell and molecular biology. I then moved to the Department of Neurosurgery, Virginia Commonwealth University in Richmond Virginia, a research and medical teaching hospital where I progressed from post-doctoral fellow to Associate Professor. Over the 17 years in Richmond, I worked, and shared laboratories with William Broaddus MD, PhD. During this time two of my graduate students and I were awarded the Basic Science Award, Society for Neuro-Oncology and I also received a recognition of contribution in research and scholarship award in the Department of Neurosurgery. While in Richmond, I held joint appointments in the School of Medicine: Department of Biochemistry and Molecular Biology and in the School of Pharmacy: Department of Pharmaceutics. I also served as Associate Director of Pre-Clinical studies and Director of the Adult Neural Stem Cell Laboratory for Parkinson’s disease, Hunter Holmes McGuire Veterans Administration Medical Centre in Richmond. Additionally, I founded and was president of Creative Science Solutions Incorporated, a consulting company for several years. In 2012, I was offered a great opportunity to move to the UK and work with Professor Geoffrey Pilkington, Head of the Brain Tumour Research Centre here at the University of Portsmouth, funded by the Brain Tumour Research. 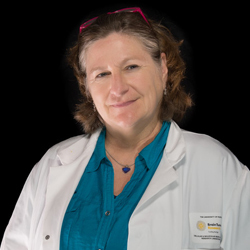 I have over 20 years of experience in brain cancer research and an established track record in signal transduction, genomic and proteomic analyses, glioma invasion and identification of potential therapeutic targets. In addition, I collaborate with Professor Pilkington and his fellows on trying to understand the mechanisms of lung cancer metastasis to the brain. Currently I lead several projects focusing on the tumour microenvironment in paediatric and adult high grade gliomas. These projects range from basic molecular science (genetics, epigenetics, and metabolism) to working with colleagues both nationally and internationally on testing new therapeutic paradigms for these deadly tumours. Recently I have been able to focus much of my current efforts on bridging my paediatric brain tumour work with the work of Dr Frank Schubert and other scientists in developmental biology. We hope to take advantage of emerging knowledge of the microenvironment in normal neural development and determine how it applies to development and growth of paediatric brain tumours including diffuse intrinsic pontine glioma and medulloblastoma. I believe that the importance of tumour microenvironment in the context of a developing brain, will lead to identification of the drivers of tumour growth and therapeutic resistance. This is an exciting area and I am very fortunate to have a PhD student supported by the Ollie Young Foundation, as well as a small team of undergraduate and Erasmus students. I also continue my work on adult glioblastoma, specifically in the area of host/tumour interactions and tumour microenvironment. With national and international collaborators my team aims to map the glioma-stem cell landscape and identify therapeutic targets within the tumour dynamic microenvironment. This approach is relatively new and I hope to build a multi-disciplinary team using systems biology and other modelling approaches related to habitat relationships to systemically map the cancer stem cell niche and vascular landscape. This data will help inform my groups’ experimental work, and by using state-of-the-art molecular technologies we will investigate specific cell types and their role in maintaining this tumour/host vascular niche with and without agents aimed to disrupt this habitat.